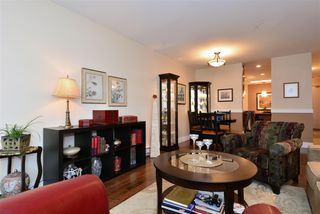 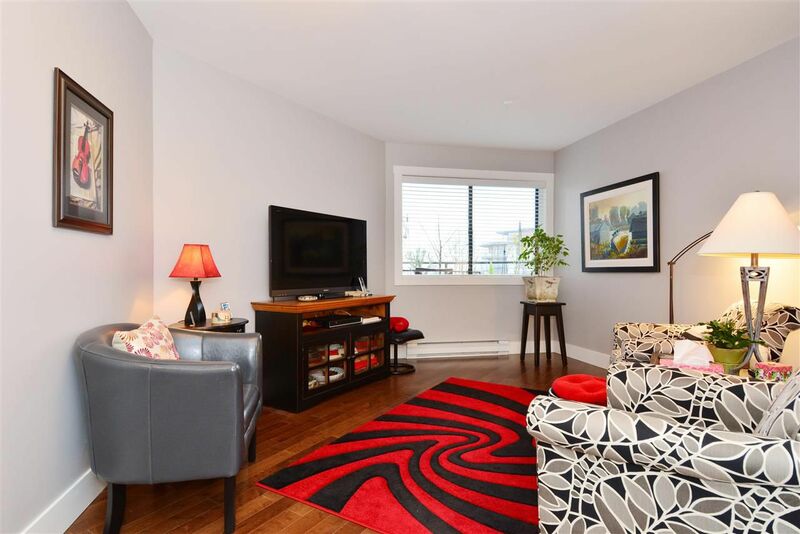 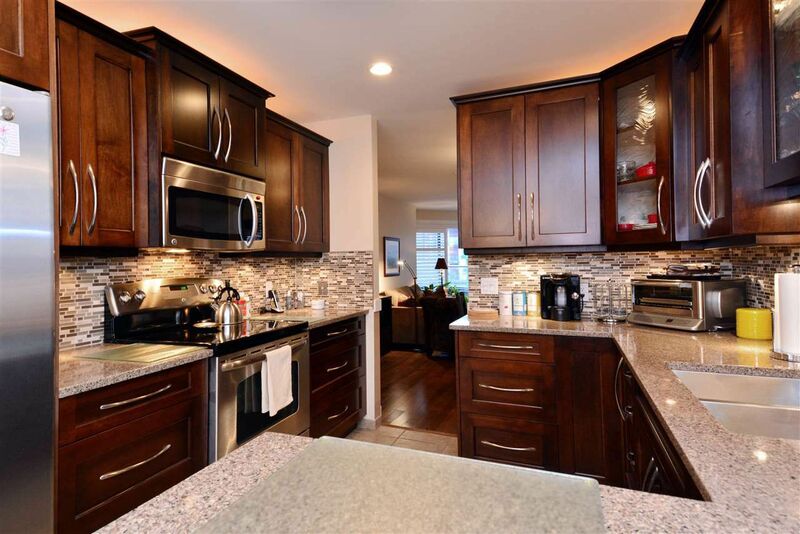 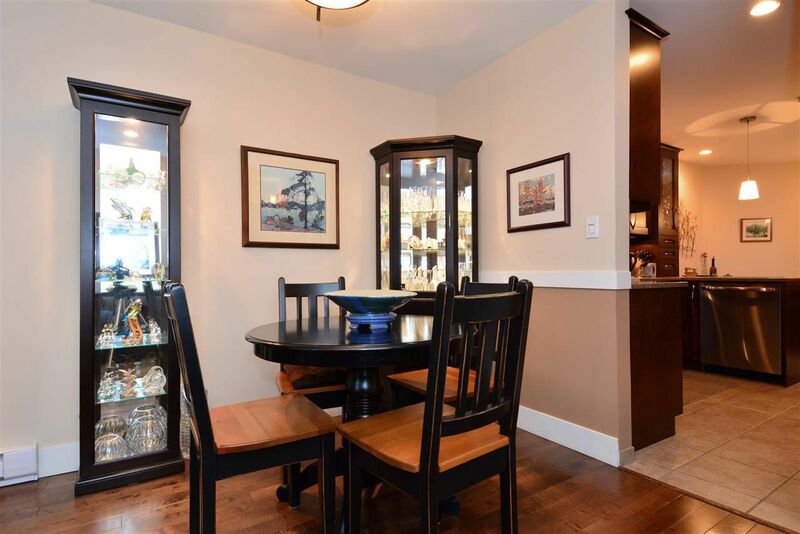 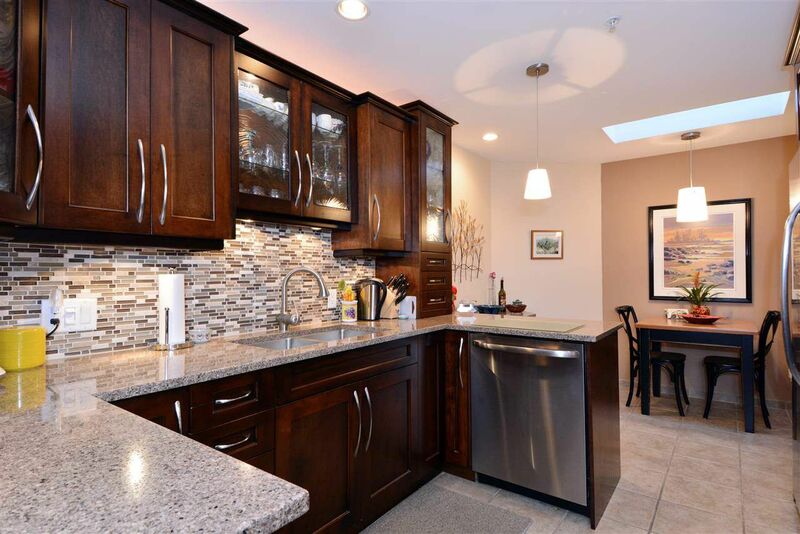 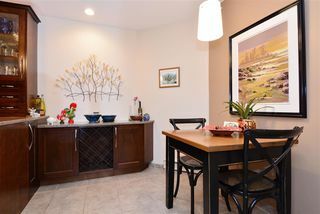 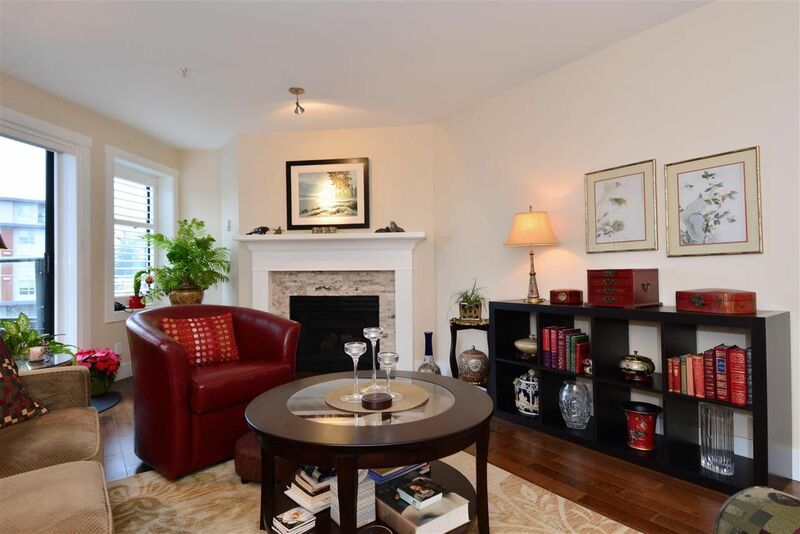 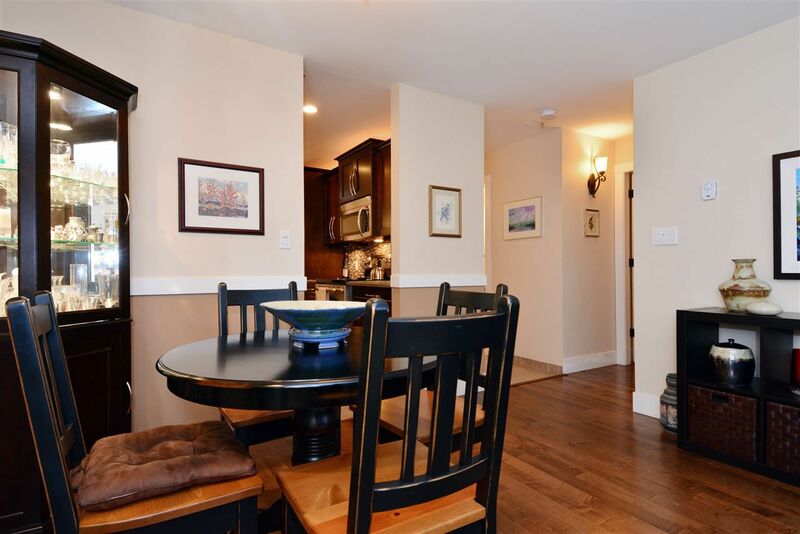 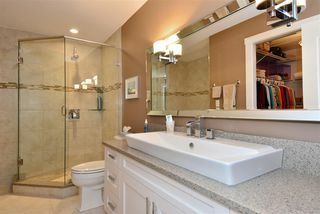 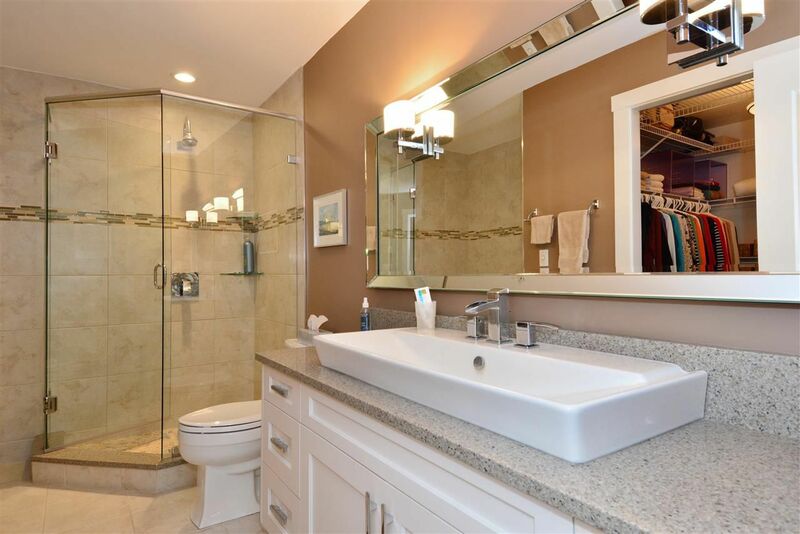 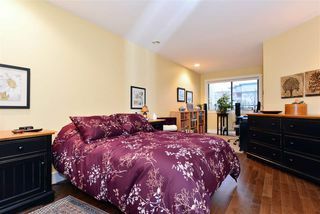 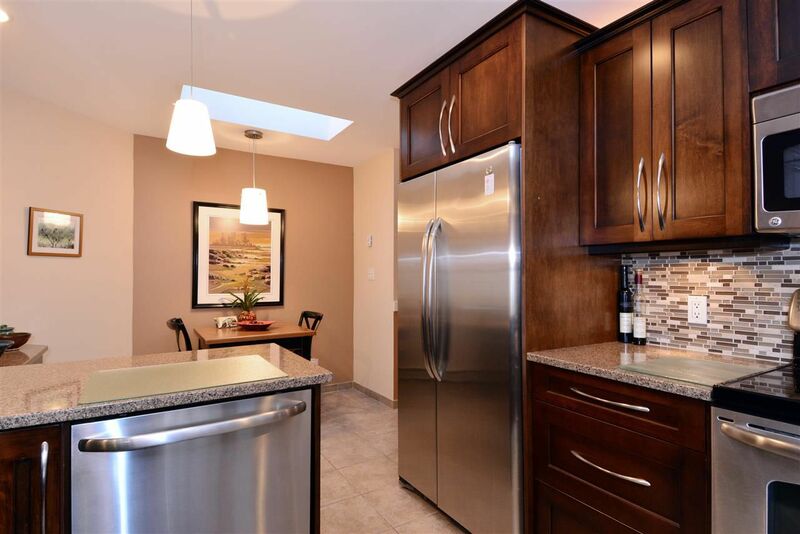 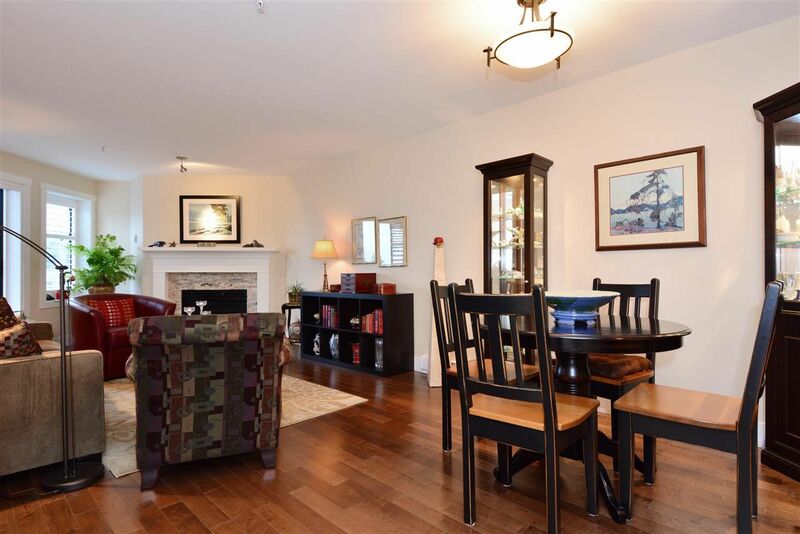 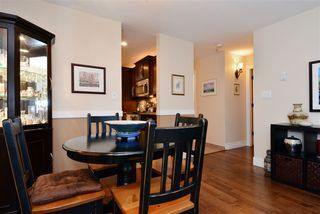 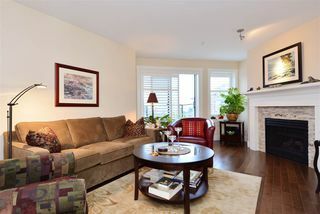 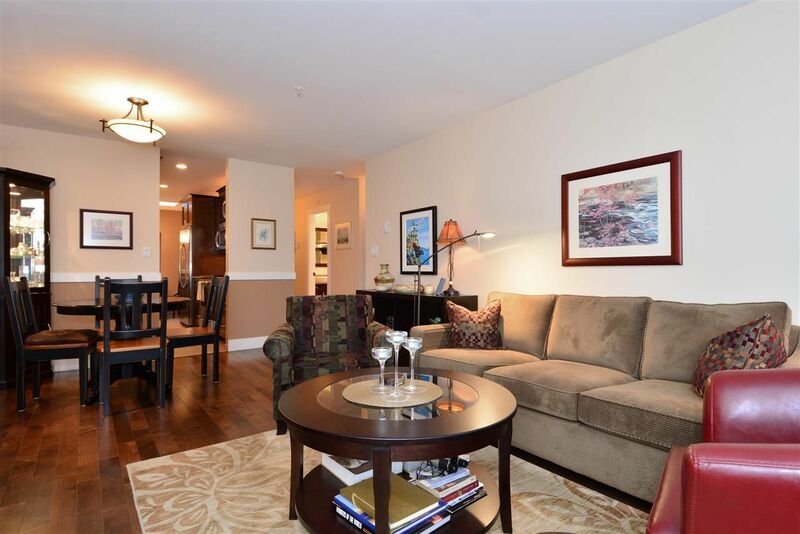 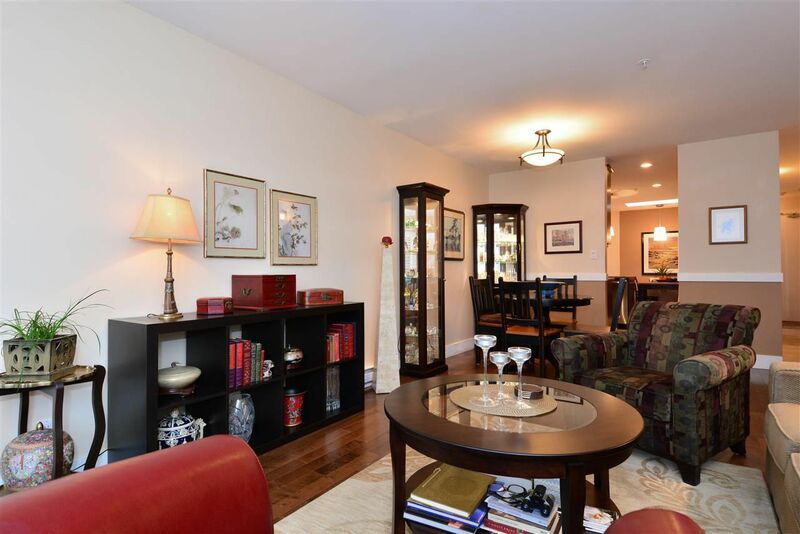 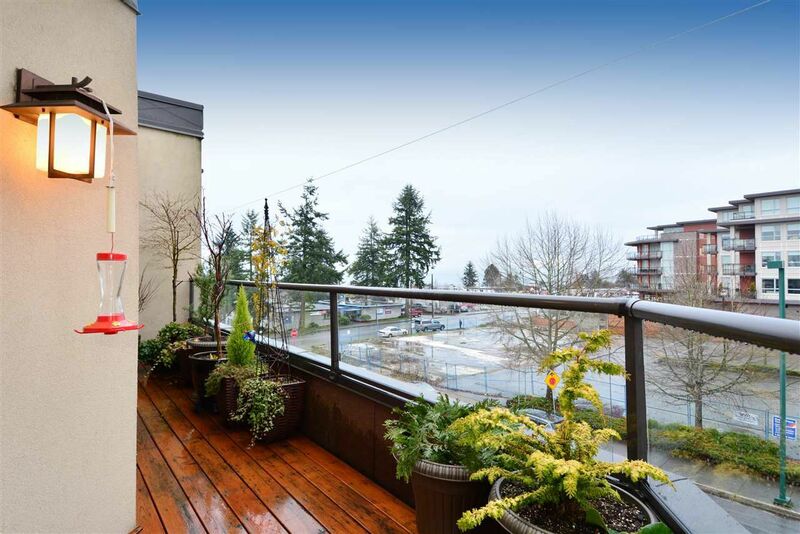 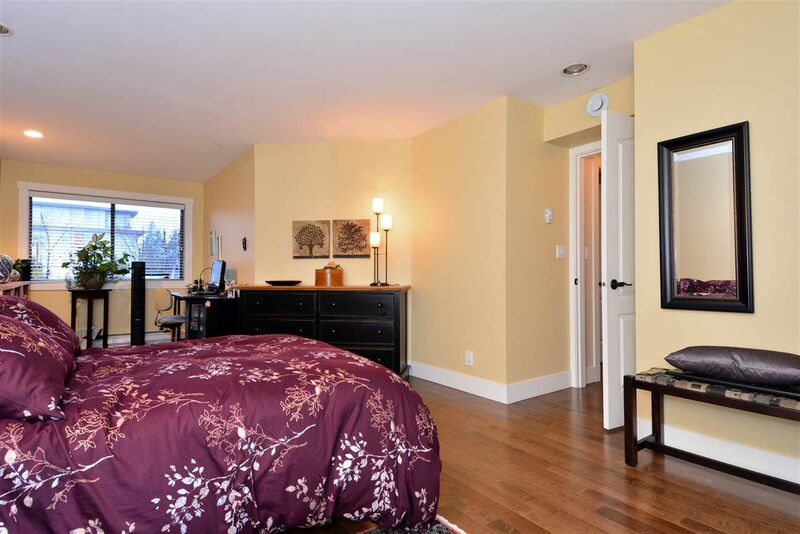 GEORGIAN SQUARE - Large, 1309 sq ft 2 bed, 2 bath condo has been exquisitely & extensively renovated. 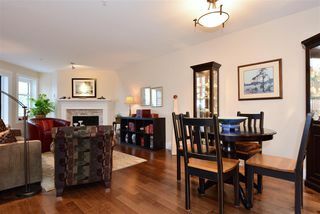 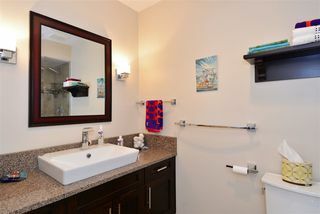 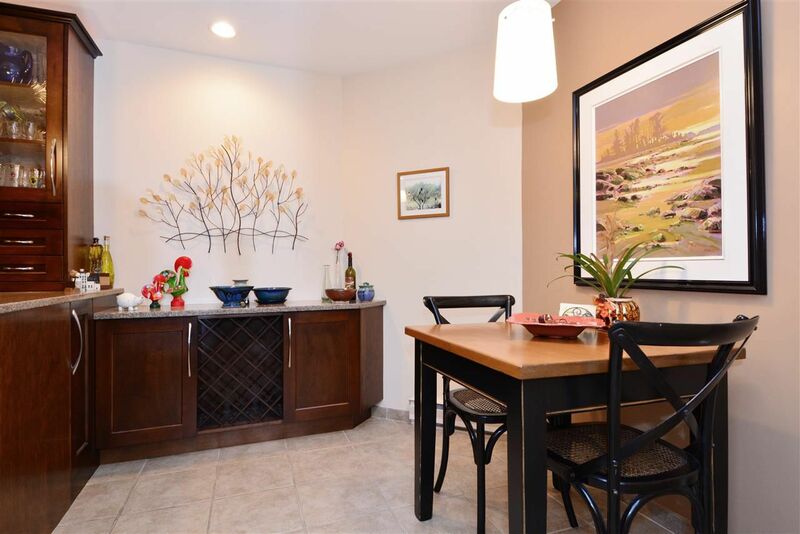 Every surface of this top floor, end unit condo has been updated - gorgeous engineered hardwood floors, smooth ceilings with pot lighting, new kitchen (custom solid wood cabinets, quartz counters, stainless appliances), 2 new bathrooms (cabinets, sinks, showers, quartz counters), gas fireplace & mantle. 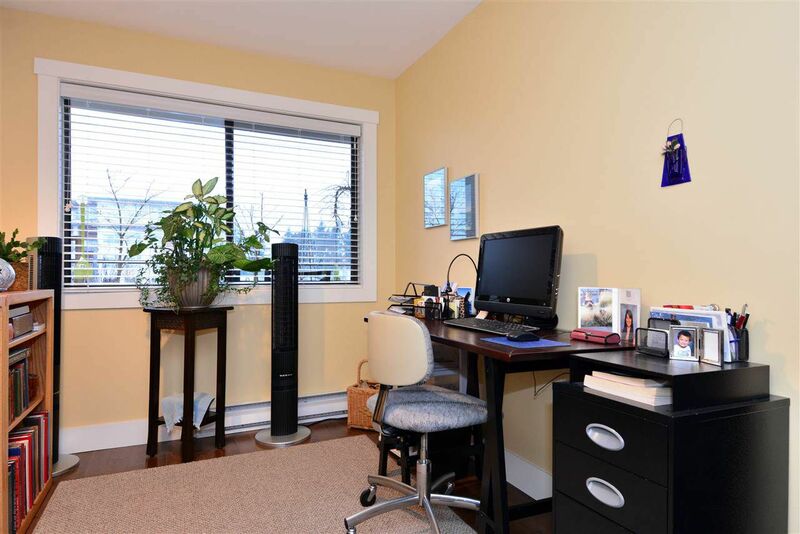 Sitting area in the huge master bedroom is perfect for your home office. 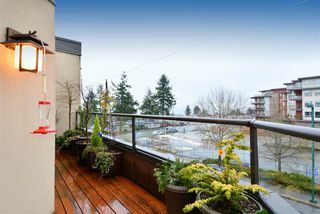 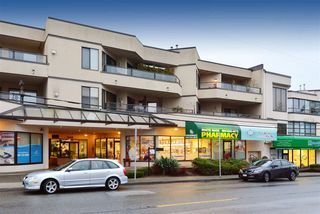 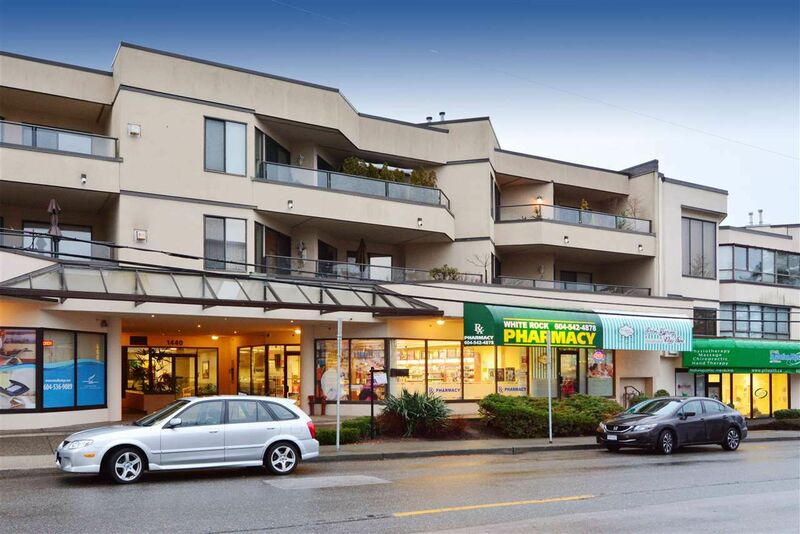 Enjoy the west facing ocean view & walk only 1 block to Johnston Rd for restaurants, shopping, entertainment & transportation. 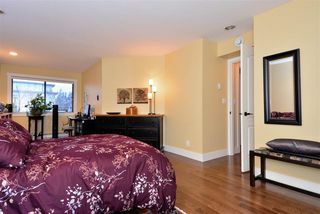 No age restrictions, no rentals, 1 small pet per registered owner. 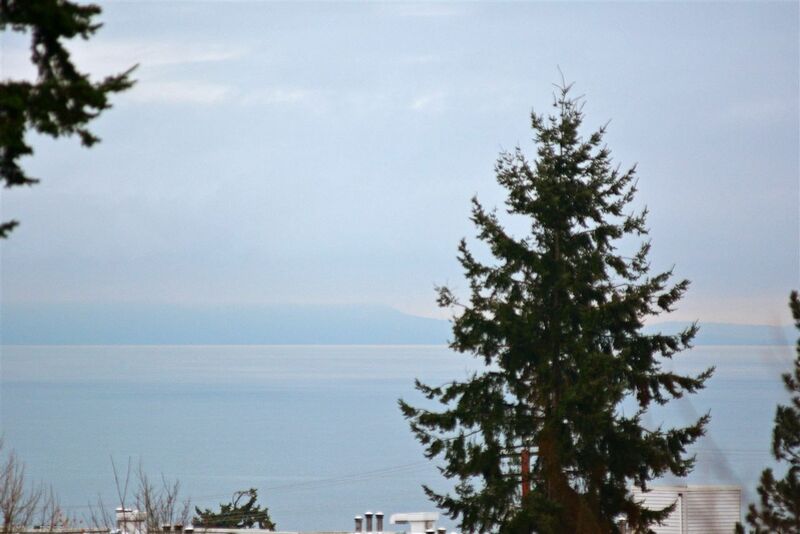 White Rock Elementary & Semiahmoo Secondary catchments.